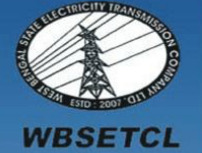 West Bengal State Electricity Transmission Company Limited (WBSETCL) has invite online application from indian citizen for 142 posts of Office Executive & Stenographer. Eligible Candidates can apply via Online mode on or before 09-09-2013. Age: Candidate age should be between 18 years to 27 years as on 01-01-2013.Age relaxation will be extended as per govt. rules. Qualification: Graduation in any Discipline with 50% marks in aggregate from a recognized University or Graduation in any Discipline with minimum 50% marks in H. S. level AND Must have passed certificate course / any other courses on computer for Office Executive posts and Passed Graduation with 40% marks and proficiency in English language with minimum speed of 80 words per minute in short hand.Excellent Proficiency in operation of MS Office for Stenographer posts. Application Fee: Rs. 250 for GEN/OBC, SC/ST Candidates are exempted from application fees. How to Apply: Eligible Candidates can apply via online mode from WBSETCL website (www.wbsetcl.in) between 20-08-2013 to 09-09-2013.